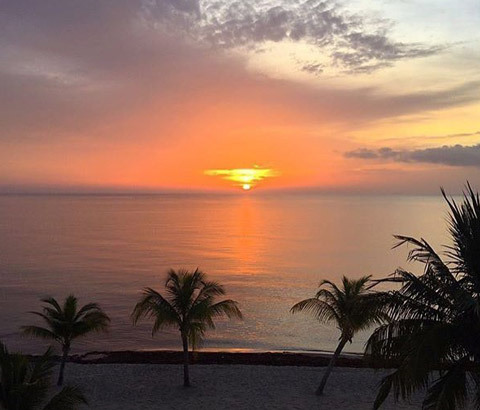 The incredible Central American country of Belize is nestled on the Caribbean Sea, tucked beneath the outstretched arm of Mexico’s Yucatan peninsula and resting on the shoulder of Guatemala. Here, in this peaceful paradise the temperature rests consistently near 85 degrees. Being a simple country we have only two seasons; wet and dry. The dry season, from December to May, is ideal for enjoying the beaches and coast as well as the jungles and rainforests of Belize. Even with rainy periods from June to November, you will mostly have only short bursts of showers in more lush terrains, either way, Belize is beautiful to enjoy anytime. 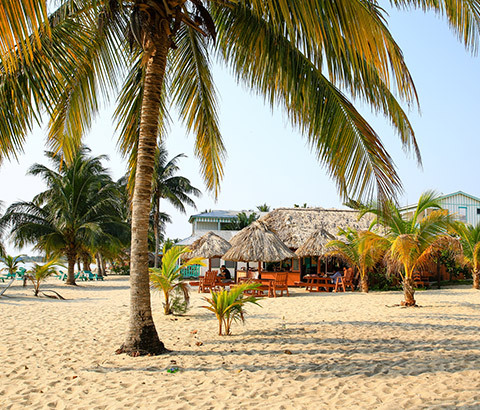 The Placencia Peninsula languishes along the ocean side of Belize in the south part of the country. She hangs like a pendulum with Placencia Village the Pendant at the end. Being the only English speaking country in Central America, Belize is a well-travelled tourism destination for North Americans who love the convenience that doing business in English allows. However, with neighbors, Guatemala and Mexico, and was influence by Spain, a lot of Belizeans speak Spanish as a second or first language as well. There is plenty of room here as the population has hovered around 375 thousand people for several years. Very low density for a country of nearly 23000 km2 (14000 m2 ). The diverse ethnicities of Belize make her what she is, colourful, flavourful, and tropical. The cultural melting pot of Belize is made up of eight main ethnicities. Most of this mixing is a result of short term occupation of our Caribbean gem by larger Colonial powers. The Creole or Kriol are a mixture of English Europeans and Africans representing about 30% of the country. They even have their own dialectic language. The Mestizo take their heritage from Spanish and Mayan descent and represent about half of the population. Maya, are the descendants of the original people to inhabit the country and are primarily of two groups, The Yucatec and Mopan. The first from the north via Mexico’s Yucatan Peninsula and the second from the south through Guatamala. The Garifuna people of Belize, is a complex tale starting over 400 years ago. They are essentially South American Carib natives, but have led a wandering life through many countries, many settling in Belize in 1832 after a canoe journey from Honduras. This migration is still celebrated every November. About 15000 Garifuna still call Belize home. Other visitors have stayed in Belize and their contributions are also welcomed, Mennonite, East Indian, Asians and Middle Easterners are all part of the cultural cloth of Belize. All of these create an abundance of flavourful food, drinks, clothing, dancing, sports and practices that make Belize a destination location for not only sun, sand, and beach but also cultural tourism. Be sure to try as many local exotic and specialty dishes that you can, maybe learn some music class or even take an art class. The current exchange rate in Belize make things easy. The Belize dollar is two to one with the US dollar, or $1 US equals $2 BZ . US Dollars are widely accepted in Belize. US travellers cheque are also accepted at larger hotels, restaurants, and tour companies although you may be asked to write your passport number on the cheque and the ID page may be copied. There are many ATMs throughout the country of Belize. In Placencia, there are two ATMs (Belize Bank and Atlantic Bank) within walking distance. Be sure to read the ads on the door. Usually cards with the Plus or Cirrus have easy access to cash. Once a sleepy fisherman ’s village, Placencia is now a bustling little village which hosts a number of tours, restaurants, bars and hotels. From here you can explore local excursions or book larger adventures several hours away. Hike the rainforest and learn about local medicinal plants or go snorkelling at one of the reserves, visit the only Jaguar Reserve, or find Mayan ruins. 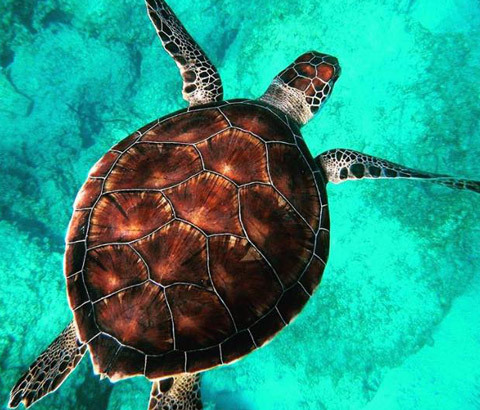 Whatever you decide Belize will always provide a unique experience. Or you may want to stay low key and just enjoy the miles of beaches. The restaurants range from local cuisine, traditional favorites, to international dining so be sure to try everything. 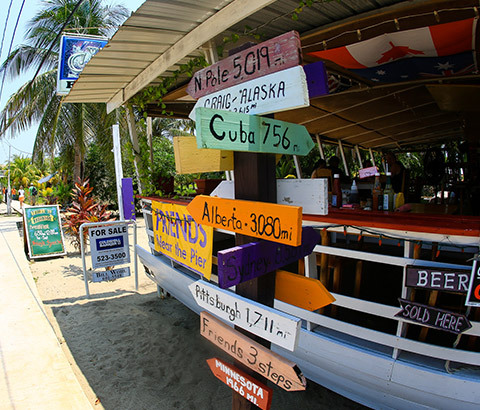 Getting to Belize is easy due to our geographic proximity with the US. Commercial flights from the US, Mexico, Guatemala, and El Salvador and Panama all come to Belize. Flights from major southern US hubs such as Miami, Dallas, Charlotte, Houston and Atlanta land daily in Belize. There are also additional seasonal destination flights during the peak season. Private flights need booking and clearance through the Civil Aviation department, but responsible charter and private pilots know this. You will land at the Philip Goldson International Airport our only international airport and from here may choose to take a commuter flight to Placencia- a quick half hour hop. Or rent a car and road trip on the scenic George Price (Western), Hummingbird and Southern Highways. The drive from airport to Placencia takes approximately three hours. Authorized car rentals are at the airport, but reservations or advanced booking is advised through Budget, Crystal and Hertz and others.